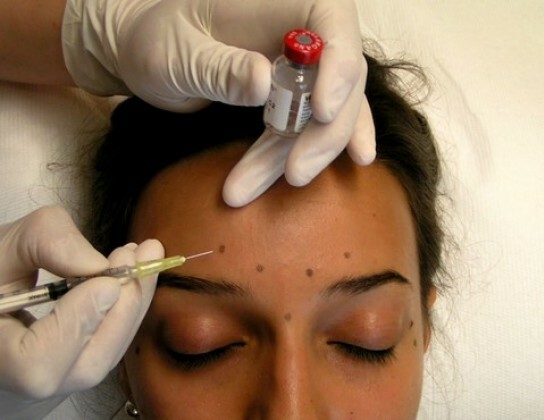 Botulinum toxin is a drug which temporarily blocks a sensitivity of facial lines to nerve impulses. Due to this blockade the muscle is relaxed, it stops constricting, thus, the wrinkles formed by it are reduced. The drug is used for correction of facial lines which appearance is caused by a physical activity of mimic muscles. On average mimic muscles relax and wrinkles are reduced within 1-4 days. Petechial hemorrhaging and swelling in places of injections, a headache. After the procedure, facial lines are usually reduced within 4-8 months. As a rule, after repeated sessions effect duration is increased. During the first consultation, Doctor Durand will explain the principle of action and estimate if the procedure is right for you. Also, he will define the amount of necessary drug. During the second consultation, Doctor Durand will carry out a procedure according to the plan which was developed in the previous consultation. The procedure is painless therefore it is carried out without preliminary anesthesia. The repeated procedure will depend on effect duration after the first procedure.